For the past 17 years, Mary Maher has managed some of the Napa Valley’s most coveted vineyard sites. 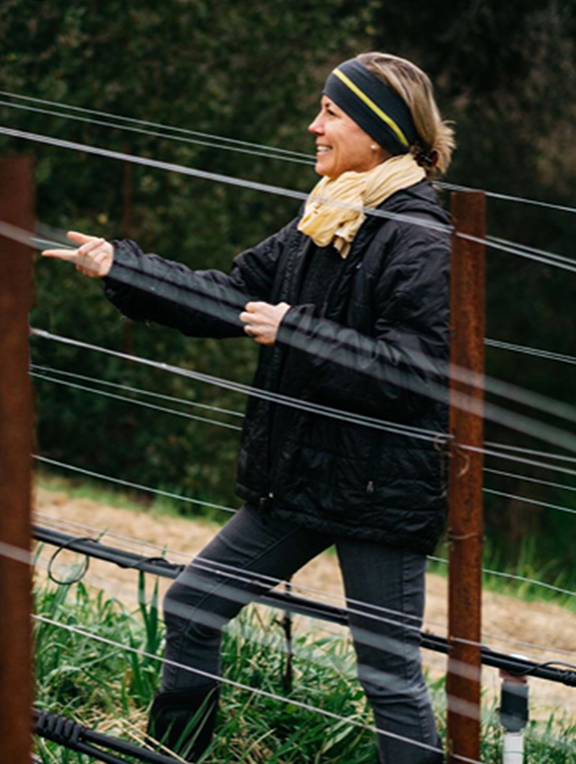 Today she focuses her efforts on the conscientious and meticulous farming of the Harlan Estate and Promontory vineyards. Maher is considered one of the nation’s leading vineyard managers, but this Sacramento native, born into a farming family, remains straightforward and unpretentious. She’s done a pretty thorough job pruning her own ego. Here Maher talks road trips, Michelle Obama, and the occasional lie she tells her dogs. The little quiet moments in life. Sunday mornings at home with my husband and dogs. Being too busy to notice when someone is in need. Hikes in the forest with husband and dogs. To our dogs. I tell each they are my favorite. (Thankfully they can’t read this). Lately it’s been f*&k. Not sure why this one is surfacing lately. Not being with my mother when she died. That they all weren’t Republicans. That I stumbled into this career path that has been rewarding on so many levels. What characteristics do you most like in a man? What characteristics do you most like in a woman?